So what does that mean? It means that though “Youth” is about, for lack of better term, youth, it’s written and composed to a point that it shines as bright as the sun. It comes out into the ring swinging hard, as the sweltering electronic flame burns under Foxes’ prophetic chirp. “They didn’t want me when I was running wild, dragons breathing fire in the backyard at night.” Does that lyric make you scratch your head and ponder, and not in the “We Can’t Stop” way? Good. It should, that means it’s actually well written. This is what sets the song apart from its siblings that share the same theme. 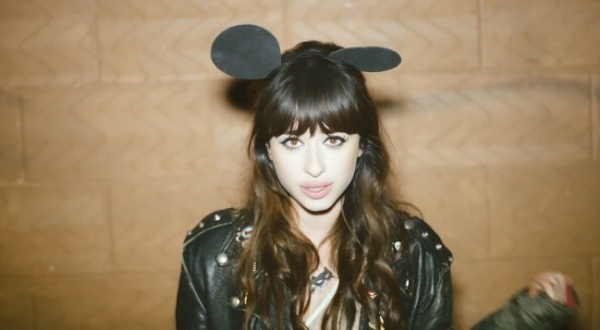 Foxes doesn’t just make a single about being young, or trying to be young, she makes a musical experience, a pop cut so masterful it’s as visually stimulating as it is melodiously breathtaking.